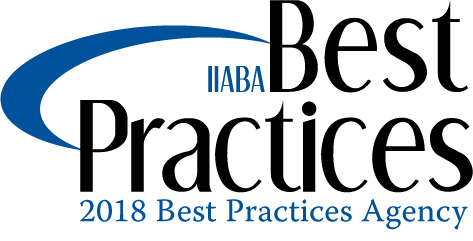 The Plexus Groupe has retained its IIABA Best Practices status, once again being included in an elite group of independent insurance agencies across the United States. This status is earned by participating in the Independent Insurance Agents & Brokers of America (IIABA or the Big "I") Best Practices group. The annual survey of leading independent insurance agencies documents the business practices of the "best" agencies and urges others to adopt similar practices. The Plexus Groupe, a fast gorwing, progressive insurance brokerage and risk management consultancy serving clients around the globe, has earned this distinction six times. Walter R. Fawcett, III, The Plexus Groupe's Founder and Chief Executive Officer, said this designation is important to distinguish the company as a leader in the industry. "This is something we take seriously and strive for each year," Fawcett said. "This recognition is the direct result of the efforts of all the associates at The Plexus Groupe." Since 1993, IIABA and Reagan Consulting, an Atlanta-based management consulting firm, have joined forces to study the country's leading agencies. The agencies comprising the groups are selected every third year through a comprehensive nomination and qualifying process and awarded a "Best Practices Agency" designation. The agency was nominated by either an IIABA affiliated state association, or an insurance company, and qualified based on its operational excellence.